An annual award presented to recognize the work of the league’s general managers. 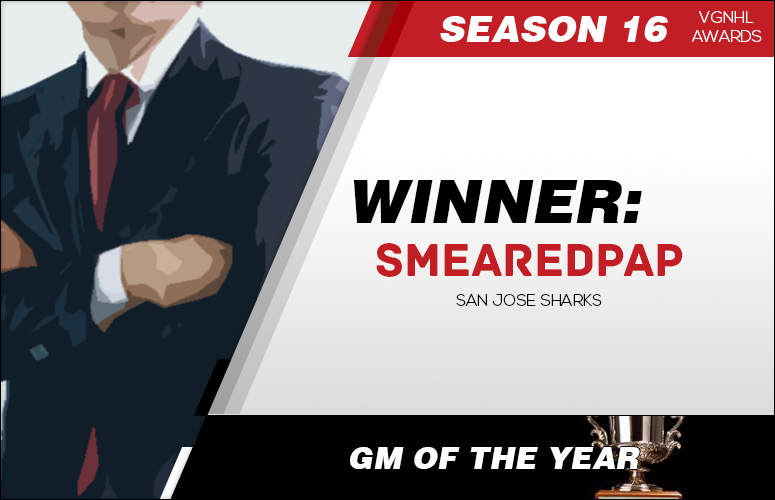 Rookie San Jose Owner SmearedPap has been awarded the Season 16 GM of the Year. 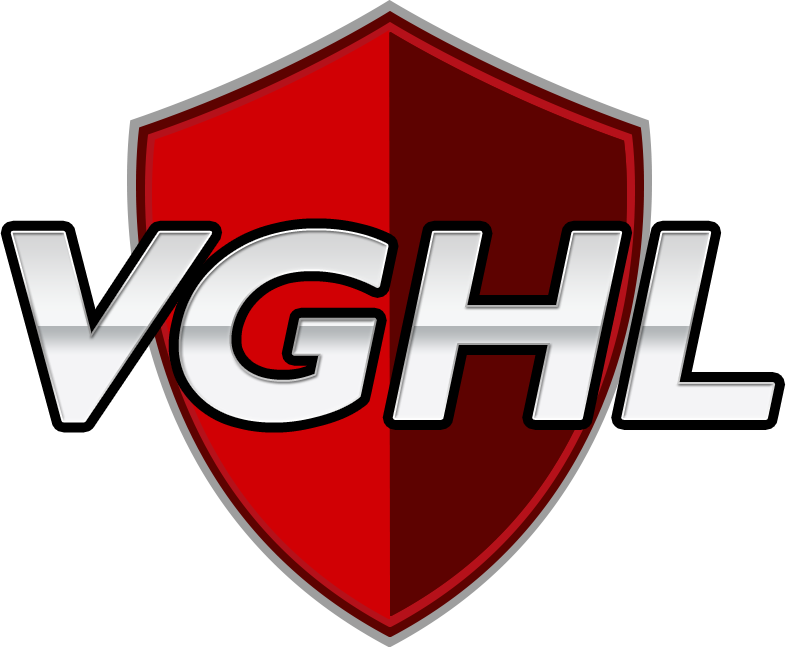 In his first season in the VGNHL Smeared lead one of the most competitive franchises overall. Not only where the San Jose Sharks one of the top team in the league and contenter in the western conference, full of players that may not of been as known compared to their counterparts. Smeared also was able to recruit the dangerous duo of Rivnasty and Frostylocks to head up the prospect scouting in the AHL. The Barracuda went on to win the regular season top team title and the VGHL Calder Cup Championship. Congratulations SmearedPap!